If you have any questions about the M54 information page below please contact us. 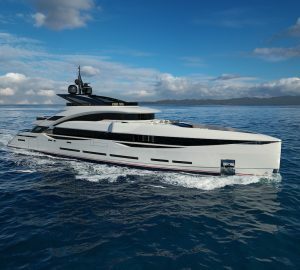 Built by the prominent Italian manufacturer Mondomarine, superyacht M54 is a beautiful 54-metre displacement vessel, with delivery in 2017. 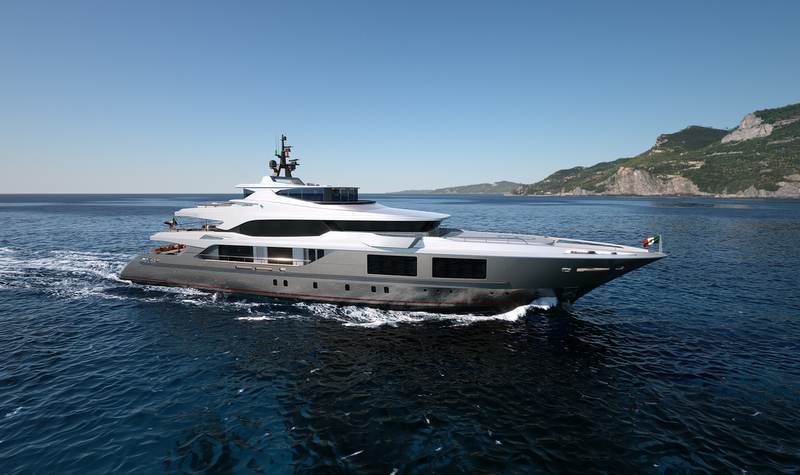 Luxury motor yacht M54 boasts a sophisticated and eye-catching exterior design by Luca Dini. Luxury yacht M54 by Mondomarine can easily accommodate her guests in 6 beautifully appointed cabins, including a gorgeous owner’s cabin on the main deck, four guest cabins on the lower deck, as well as a sixth cabin convertible into a media room on the upper deck. 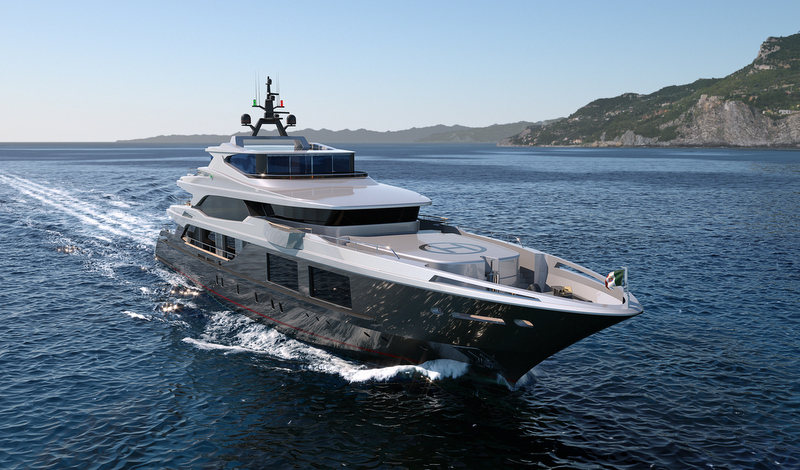 Furthermore, super yacht M54 features an elevator serving the four decks and a touch and go helipad. There is also a notable amount of space dedicated to large tenders, jet-skis and water toys. With a Gross tonnage of 800GT abt., and a maximum beam of 9,80m, the steel and aluminium M54 yacht can reach a top speed of 17 knots. Accommodation aboard M54 superyacht is divided into 6 deluxe cabins, including a lavish owner’s cabin on the main deck, four guest cabins on the lower deck, as well as a sixth cabin convertible into a media room on the upper deck. We do have available further amenity, owner and price information for the 54m (177') yacht M54, so please enquire for more information. The luxury yacht M54 displayed on this page is merely informational and she is not necessarily available for yacht charter or for sale, nor is she represented or marketed in anyway by CharterWorld. This web page and the superyacht information contained herein is not contractual. All yacht specifications and informations are displayed in good faith but CharterWorld does not warrant or assume any legal liability or responsibility for the current accuracy, completeness, validity, or usefulness of any superyacht information and/or images displayed. All boat information is subject to change without prior notice and may not be current.